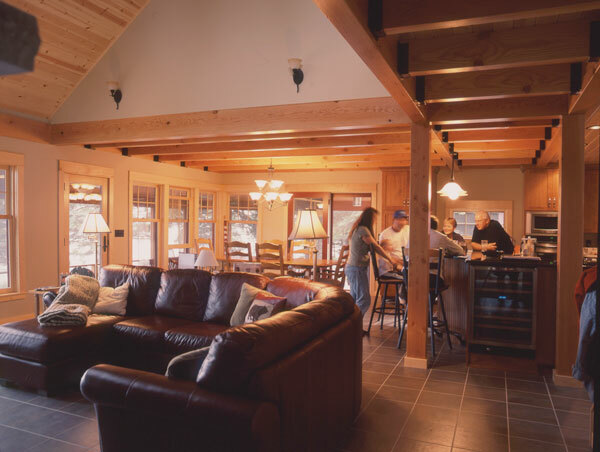 We all love to have guests at the cabin, even if they overstay their welcome. We are all so honored by ownership of our unique little slice of heaven that we welcome the opportunity to share it with family and friends. Selecting our guests is important, as the cabin experience isn’t for all. We separate out those who are squeamish about spiders, mice and abject darkness. Also not invited are those for who boats, kayaks, and canoes are too dangerous. And who wants as guest someone who can’t eat s’mores singed by ash or a bass they’ve seen gutted a few minutes earlier. OK, so now you’ve narrowed the list and there remains a few of the adventurous types you’d like to spend some quality time with. So best to start with a long weekend to test the waters of companionship and not commit to a two week endeavor. Develop a plan of the activities you might partake of, the gear needed for each, and specific meal assignments. We like to suggest local attractions such as visiting the bear sanctuary near Orr, or the state park mine shaft in Sudan. Our cabin is a 4-hour drive from the Twin Cities and we give out a travel map with highlights along the way. Stop at Tobies in Hinckley for the best caramel roll, at the Warming House in Cloquet for espresso and ice cream, or Wilbert’s Café in Cotton for the best coconut cream pie in the Midwest. (It’s made with walnut crust). If there is a large group you seek to entertain it’s best to schedule this in summer when many of the activities can be outside. A tent can be added for the rambunctious teenagers, and cooking can be done with grills and at fire pits. Don’t hesitate to suggest a local motel for your snoring uncle, or the local restaurant for a Dutch treat dinner with the whole clan. 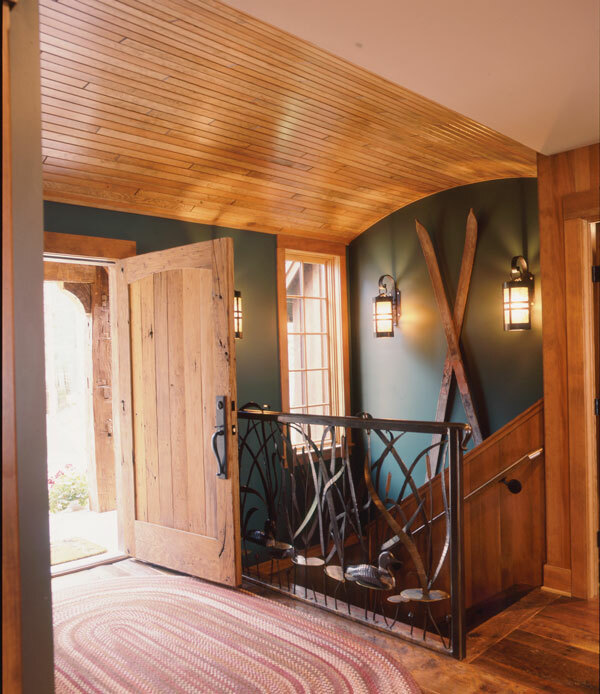 Should your guests be at your cabin without you then there’s a lot more to convey than just handing over the key. They’ll need start up and shut down instructions, cleaning and bed linen expectations, and a few emergency numbers for when the fishhook is in the fisherman’s lip, not the fish. -Entry and access for supplies and luggage necessitate consideration for suitcases, backpacks, grocery bags, and coolers. 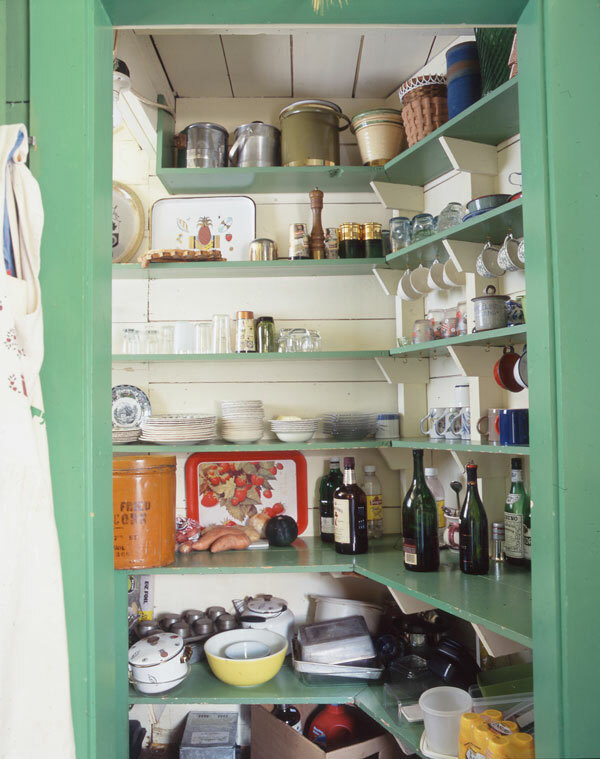 Where will it all be stored and how can you make all visible so items are not left behind when guests depart. If there are bedrooms on other levels locate the stair in close proximity of the entry. -Create a functional kitchen where guests easily find cooking items and where food processors and appliances are intuitively understood. Provide an island where guests can sit and chat with the chef while out of the flow of boiling water for the pasta. An island or peninsula is useful for buffet serving when eating occurs on the porch, out on the deck, or on the pontoon. 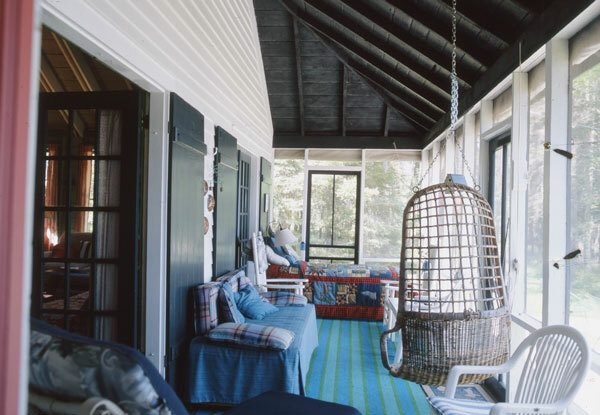 -Provide sleeping accommodations everywhere, in a guest bedroom, up in an open loft, in an enlarged window seat in the living room and with a drop down bed on the porch. Twin beds in the guest bedroom may be more versatile than a queen bed, as it can serve a couple, two fishermen, or a pair of teenage boys. 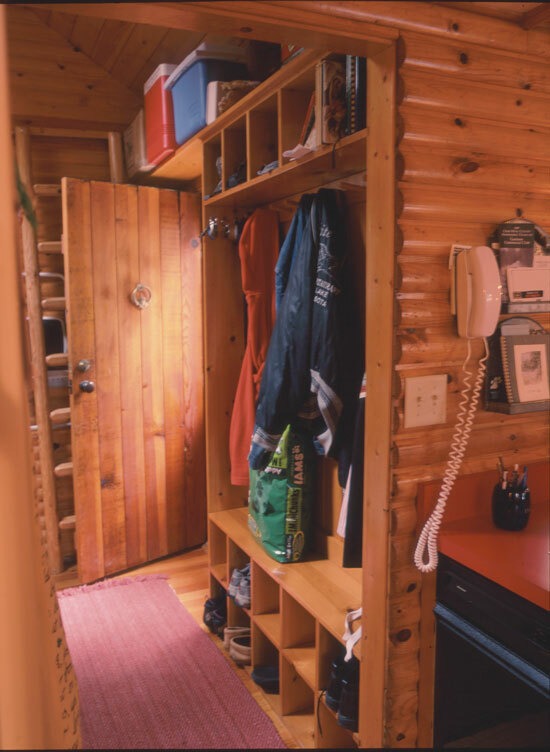 Privacy of sleeping is not important at the cabin, and a major contributor to the bonding experience. 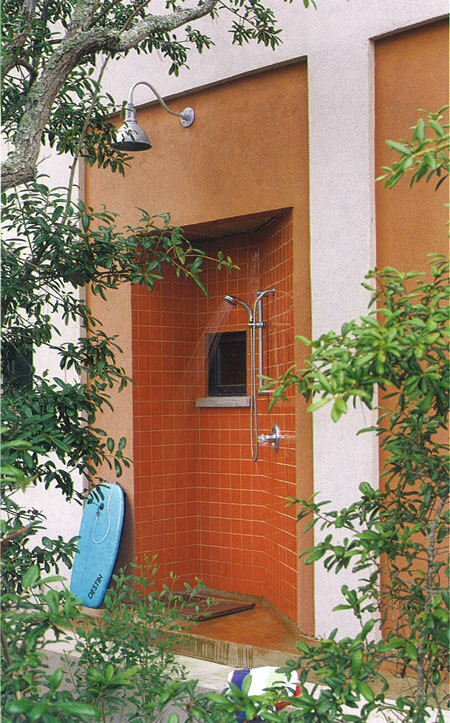 -An outdoor shower will reduce the summer demand on the bathroom, and a two-compartment bathroom will serve more guests simultaneously. Inform your guests that the supply of hot water isn’t endless. Adding a sauna can also take some demand off showering needs, particularly if followed with a cold dip in the lake. 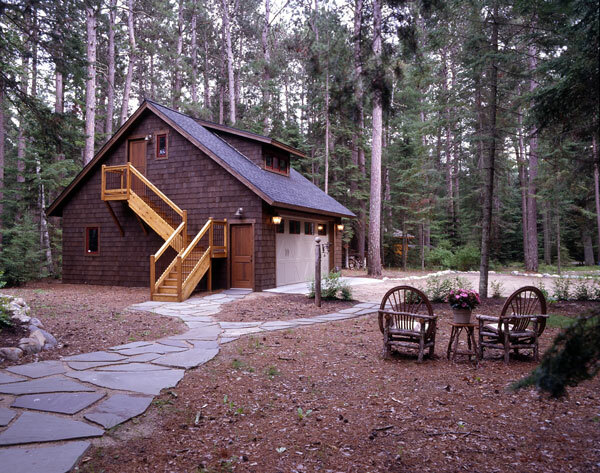 -If you have a small cabin such as I do, then having a guest cabin eases the sleeping assignments. Mine is an old log cabin with ample space but no plumbing. For others a bunk house might be the answer where late night and late morning teenagers can control there schedule. Providing some sleeping space above a garage (aka grabin) is another way to accommodate the overflow. In all of these, guest cabin, bunk house and garbin, you’ll have to check with local zoning to glean the rules.